72" Sweeper attachment for full size loaders with front mounted aux. hydraulic lines. Poly bristles sweep and deposit debris in bucket hopper for dumping. May be operated in forward or reverse. 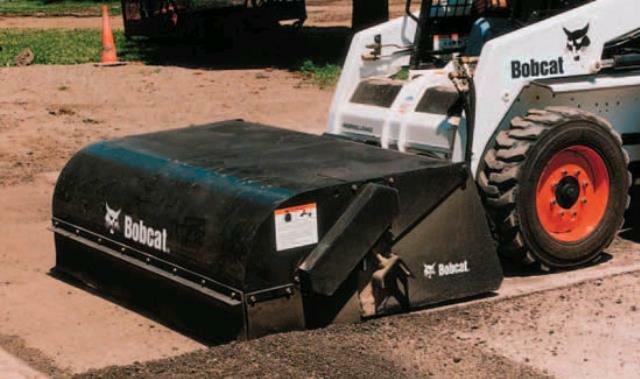 * Please call us for any questions on our sweeper 72 inch bobcat attach. hyd full size rentals in Portland OR, Gresham OR, Milwaukee OR, and surrounding metro area.